[10/02/2018 @ 3:24 PM] Book this fare on: Southwest, Priceline, BookingBuddy, Travelocity, Orbitz, Expedia, CheapTickets, Hotwire. 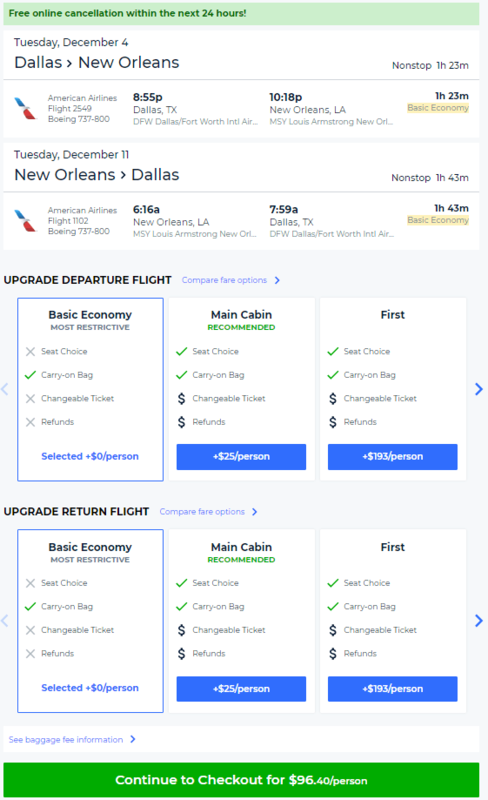 Southwest and American Airlines have round-trip flights from Dallas (DAL/DFW) to New Orleans (MSY) for $97, NONSTOP. $49 each-way. Flights December to February. No Fridays or Sundays. Origin/Destination reversible. 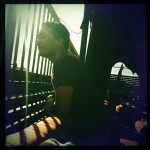 Holiday Blackouts. Note: AA seems to be matching with fee encumbered “Basic Economy” fares on only some of these dates. Not seeing any Thursday or Saturday AA fares. Note: You can save up to an additional $125 if you book your Flight+Hotel together as a package on Southwest Vacations before 10/05/18. Example Dates: (Southwest / BookingBuddy) Nov 29 – Dec 03 / etc… / Feb 02 – Feb 05 / Other dates: Use the Fare Calendar on Southwest. There are more dates available than the ones we list here, experiment on your own. 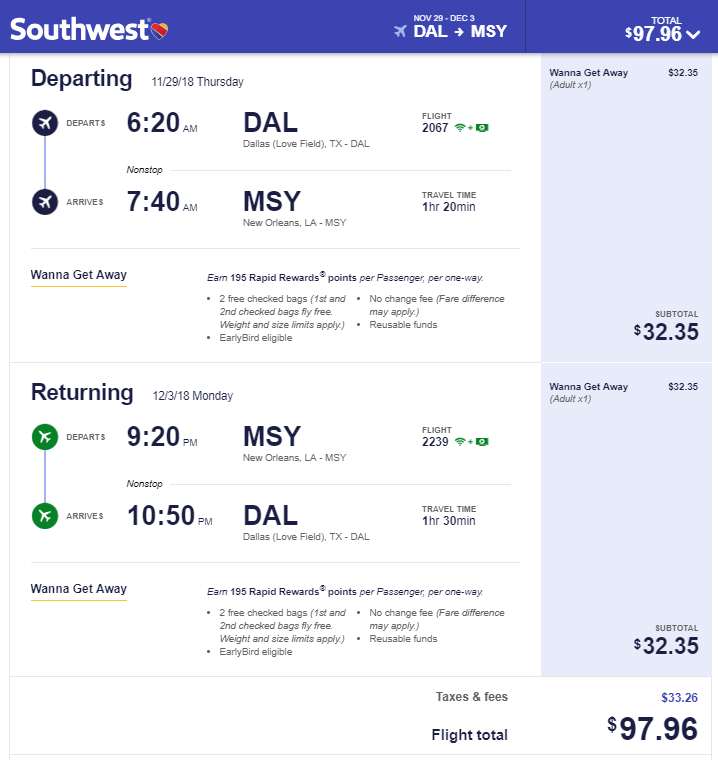 I was able to pull this fare up on Southwest and Priceline. Screenshot taken when this post was initially created. See timestamps at the top of this post.